Physics is the study of an enormous span of natural phenomena ranging from the large scale involvement of galaxies to the submicroscopic motion of atoms and nuclei. The law of nature can be used to predict the behavior of the world and all kinds of machinery. Many of the technological inventions of today resulted from discoveries in physics. 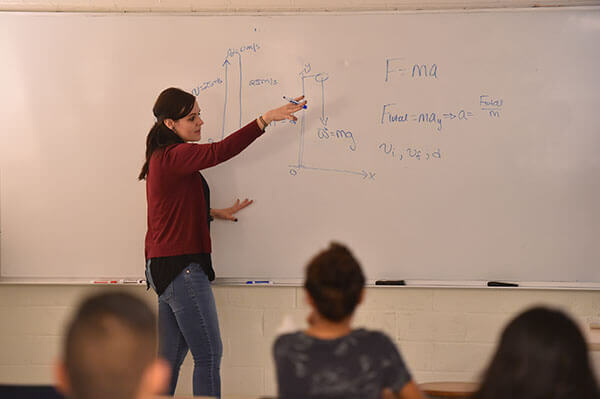 A major in physics at St. Mary’s University prepares students with a broad based view of science, as well as the analytical tools necessary to tackle problems in many different fields. Physics is an intensive course of study that emphasizes analytical and problem solving skills. Depending on the degree option selected, students will be required to take additional biology, chemistry, math and physics courses. Many Physics majors often double major in other areas such as Electrical Engineering, Engineering Science or Mathematics. With proper planning, a double major can be completed in four years. 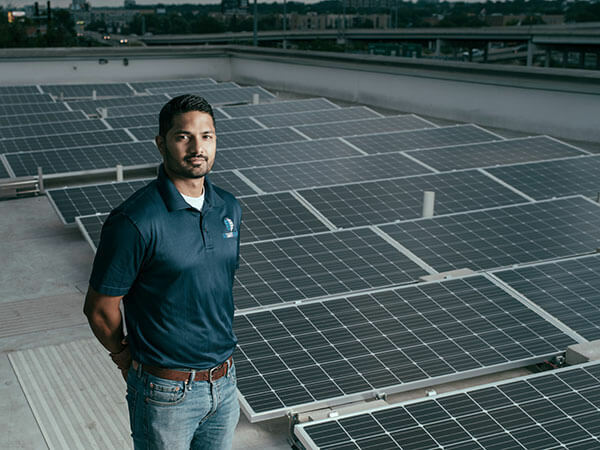 Read how Physics alumnus Supratim Srinivasan discovered his passion in solar energy at St. Mary’s. Physics is a great major that allows students to develop many highly marketable skills. Physics majors learn how to use mathematics to develop solutions to complex problems − a highly valuable skill set in every industry. Having a degree in Physics opens up many opportunities in occupations related to finance, programming, health care and engineering. In the end, every business runs on math. If your intention is to attend graduate school or medical school after earning your bachelor’s degree, there’s good news there as well. Physics majors are great candidates for all sorts of graduate programs, and are even able to satisfy medical school requirements by taking just a few biology and chemistry courses along the way. Experiential learning is a process through which students develop knowledge, skills and values from direct experiences outside a traditional academic setting. The Department of Physics and Environmental Science provides students with opportunities to gain valuable experience in their fields through service learning, community outreach, and internship programs. Students can participate in the Fiesta of Physics and Environmental Science Extravaganza, which brings science and technology to elementary school students. Through the Society of Physics Students, students can participate in numerous community service events such as Habitat for Humanity, Can Roll for the San Antonio Food Bank, community clean-up programs such as Basura Bash and more. Many students also participate in summer research programs at major institutions all over the world.